Howdy, pardner. Unless you’ve been living under a rock, you might have noticed the humble cowboy showing up in music a lot more recently. I’m not talking about a comeback from country music, a genre that’s ridden various waves of acceptability in pop culture over the decades, but artists from the pop, indie rock, and rap worlds all embracing their inner broncobuster. Lil Nas X just hit the top of the Billboard Hot 100 with his rootin’, tootin’ country-trap crossover “Old Town Road”. Cardi B dressed as a striptease stockman in both the “Thotiana Remix” video and on-stage in Houston at a venue called – what else? – the Rodeo. Solange paid tribute to the black cowboys she used to see growing up in Almeda, Texas, in the visuals for When I Get Home. Lil Tracy proudly owns the “goth cowboy” title. Mac DeMarco named his most recent album Here Comes the Cowboy. “Space Cowboy” singer Kacey Musgraves swept the Grammys, taking home prizes not just in the country categories, but also the coveted ‘album of the year’ award with Golden Hour. Madonna donned a cowboy hat in the teaser for her new album Madame X, although she’s surely seen this all before. That’s all in 2019 – and it’s only April. Although it’s expressed itself primarily through music, this trend for all things yeehaw has spread far and wide, with varying degrees of sincerity. 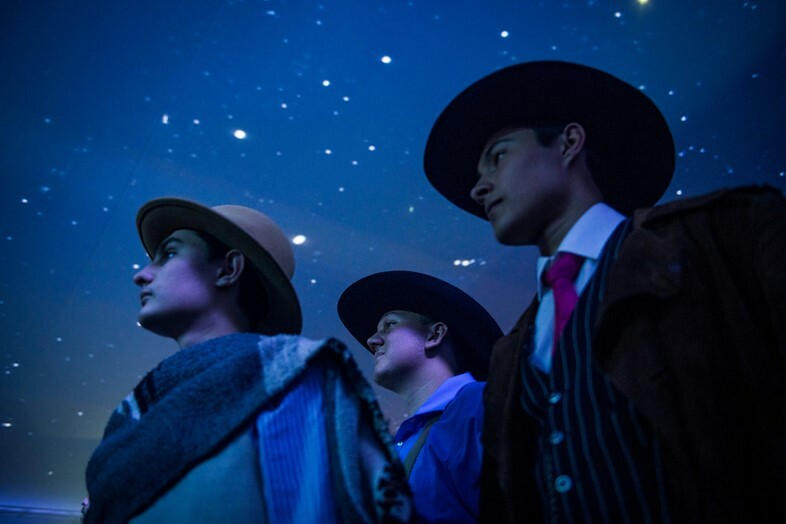 On the one hand, the proliferation of cowboy imagery in meme culture, stan communities, and social media is straightforwardly campy and tongue-in-cheek. 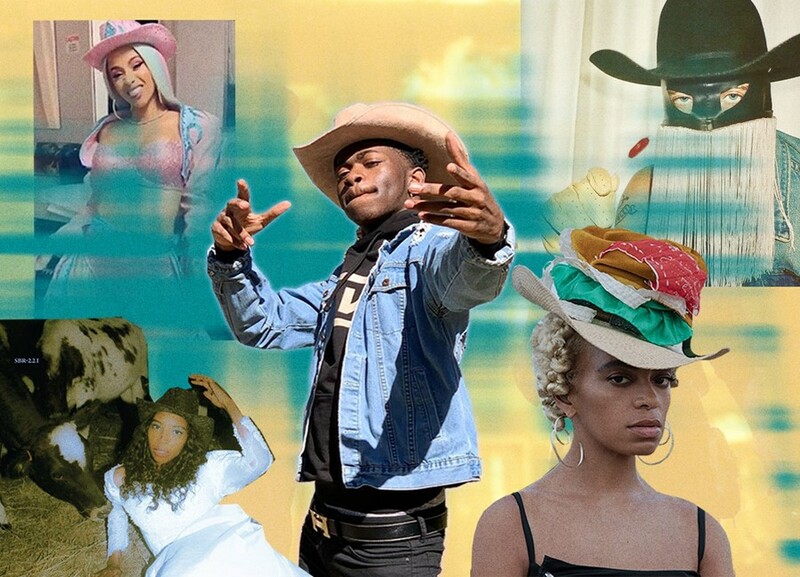 On the other, fashion’s black yeehaw agenda makes a more political point about the historical erasure of people of colour from cowboy and western mythologies. What’s interesting is seeing these different cultural trends coalesce at the same time. Why now? On paper, a revival of these tropes could be interpreted as a reactionary drift – a desire to escape the present moment, to return to a grit and authenticity that’s been perceived as ‘lost’, to embrace America’s most enduring archetype of white, male authority. After all, the US president wants to Make America Great Again, and climate change anxiety is making people want to up sticks and pursue a simple life in the country. Maybe there’s an element of truth to this explanation, but something about it seems a little too neat. None of these artists are selling a revisionist fantasy, for starters, and while a lot of them are using these signifiers in a playful or escapist way, that doesn’t mean they can’t be making a more serious point about contemporary American identity at the same time. Peck’s music is in the ‘outlaw country’ vein of artists like Merle Haggard and Hank Williams, but it’s hardly traditional. He sings from the perspective of a queer man, an identity that has rarely been given much mainstream visibility in country music – this, despite the fact that cowboys are frequently, secretly fond of each other. One regularly recurring element of the recent cowboy revival is that many (though not all) of the artists participating come from LGBTQ+, PoC, or other marginalised backgrounds, and their use of this imagery asks just who gets to be the cowboy, to borrow a phrase from Pitchfork’s Michelle Kim. To put it another way, she treats the cowboy as a meme. On an aesthetic level, the rich and well-established imagery of the Old West – the sheriff, the gunslinger, the lone ranger – makes it attractive subject to satirise, subvert, or otherwise reimagine in today’s pop culture. That’s perhaps why ‘yeehaw’ has become such a fixture of stan language. As Lilian Min writes in The Outline, the phrase is often used in online fandoms for artists as distinctly non-American as Harry Styles and BTS, by fans who are themselves often non-American, showing just how divorced from its original meaning the word has become. A BTS/Dolly Parton collab would be as yeehaw as it gets. It’s not just music that the Old West has made a comeback in, but visual media, too, from TV shows like Westworld or Godless to films like The Sisters Brothers and The Ballad of Buster Scruggs. The video game Red Dead Redemption 2 goes to great lengths to capture the aesthetic feel of the Wild West, but its depiction of subjects like violence and gendered roles, speaks more to 21st century anxieties (it also provided Lil Nas X the visuals for “Old Town Road”). It’s an idea that’s represented sonically, with Woody Jackson’s score deliberately subverting the Ennio Morricone pastiche that you might expect from a Wild West game for more traditional Appalachian sounds – and even this isn’t so simple. Far from a rootsy throwback, the music is disrupted by moments of modernity: some of the additional contributors to the soundtrack include Venezuelan experimental musician Arca, Indonesian metal group Senyawa, and avant-garde saxophonist Colin Stetson. Still, as our friend Larry showed, one thing you can do wear it as a costume – and that’s perhaps where it’s most fun. Listening to Mac DeMarco’s Here Comes the Cowboy, you get the impression that its title was basically used as an excuse to write some country ballads and campfire songs. “Cowboy is a term of endearment to me, I use it often when referring to people in my life,” he said when the album was announced. “Where I grew up, there are many people that sincerely wear cowboy hats and do cowboy activities. These aren’t the people I’m referring to.” It’s hardly the most academic explanation. Likewise, although Billboard’s decision to exclude Lil Nas X’s “Old Town Road” from the country charts opens up important conversations about the historical exclusion of black artists from this side of the music industry, the song itself – with its origins in TikTok, its creator’s past life as a Tweetdecker, its Nine Inch Nails sample, and its Billy Ray Cyrus remix – is not that deep. Yee – and I cannot stress this part enough – haw.